Ease physical and emotional suffering and awaken your healing potential. Utilize meditation to activate your capacity for healing. Demonstrate "Healing Presence"—how to use the earth itself as your foundation to support you in self-diagnosis and restoration. Discuss "The Healing Power of Love"—directing the luminous spirit of lovingkindness to all the places in your body and spirit that are in need. Meditation brings you into a deep communion with your own body and heart, but what happens when you are sick or in pain? 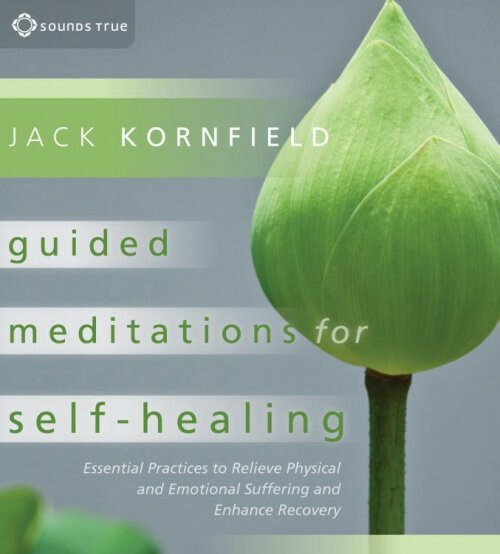 With Guided Meditations for Self-Healing, Jack Kornfield guides you through meditations created specifically to ease physical and emotional suffering, and activate a powerful capacity for restoring yourself to wholeness. We are conditioned to approach healing as an act of control, in which we judge what is wrong with us and impose a change. The way of awareness teaches us how to turn toward that which is injured in us with a caring and fearless attention, so we may open the door to true healing at every level of our being. With Guided Meditations for Self-Healing, Jack Kornfield brings you three potent practices to bring compassionate energy where it is needed in your body, psyche, and spirit, and to awaken the “master healer” within you.